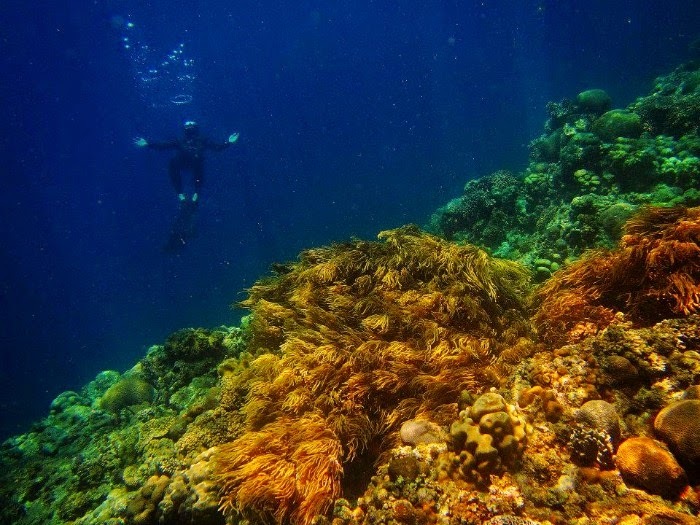 One of the top diving destinations in the Philippines can be found at the Southwest of Cebu. 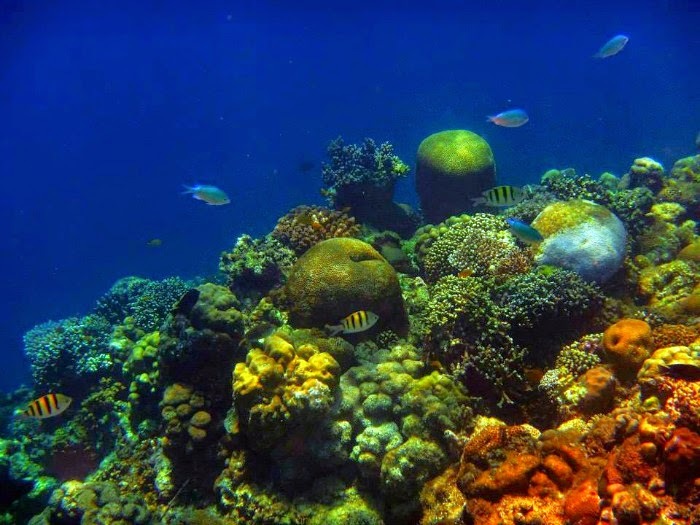 The municipality of Moalboal boasts its rich marine biodiversity where lots of divers and tourists flock in. 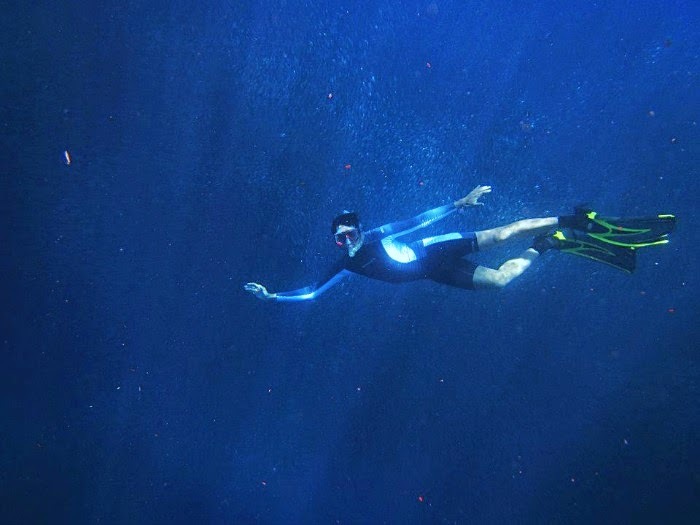 Last August, I was darn lucky to have been invited by one of the greatest freedivers in Cebu, Edwin. 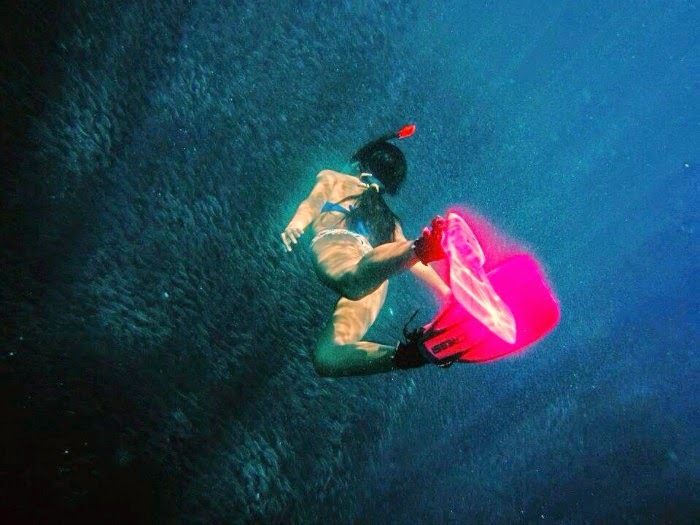 As a self-acclaimed long lost daughter of Poseidon, freediving has been on my bucket list ever since. The ocean had been calling me for so long already that every atom in my body tickled in excitement when Edwin approached me. I admit though, I really love the ocean but I have this great fear of the deep blue waters, afraid of sharks or other creatures that might grab and pull me into the depths wherever they come from. But I have this feeling that a part of me belongs to the ocean. It's so strong like crashing waves waking you up in the morning, calling you from your sloth mood, inviting you to a total euphoria. I woke up early the next day, excited of what lay ahead. We met up with some other awesome travel bloggers in the Phlippines, Edgar and Paola, and I knew this trip is gonna be amazing. And so we hit the road, and the car of Edwin's friend coughs us up at the streets of Moalboal. 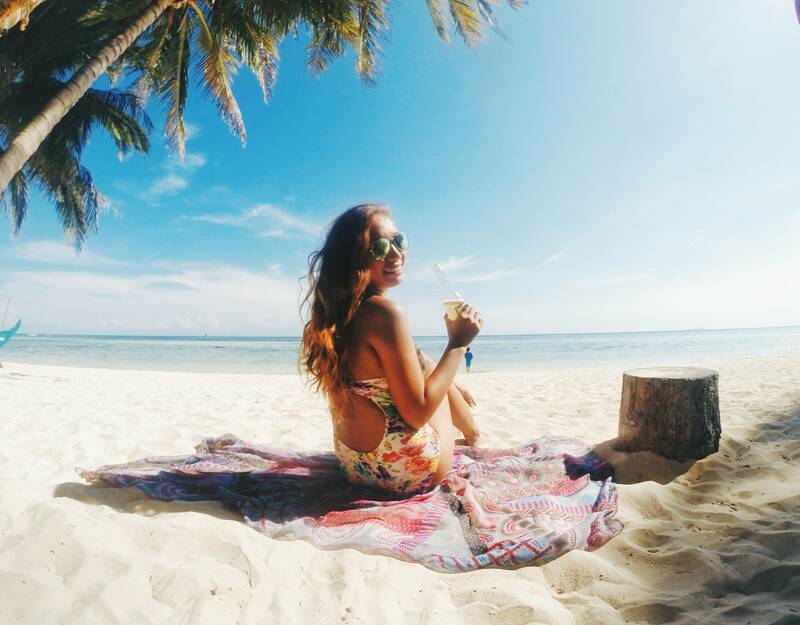 We went straight to a dive shop in Panagsama, grab our gears and hit the water. And then everything was magic. 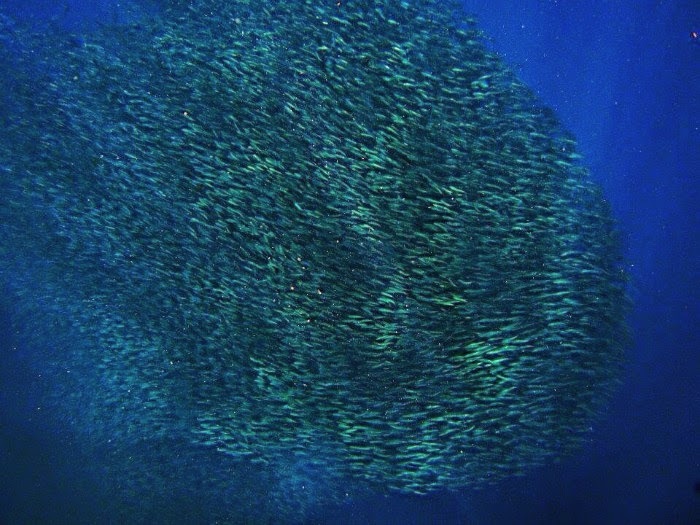 Thousands of sardines lurk at the depths of Moalboal. 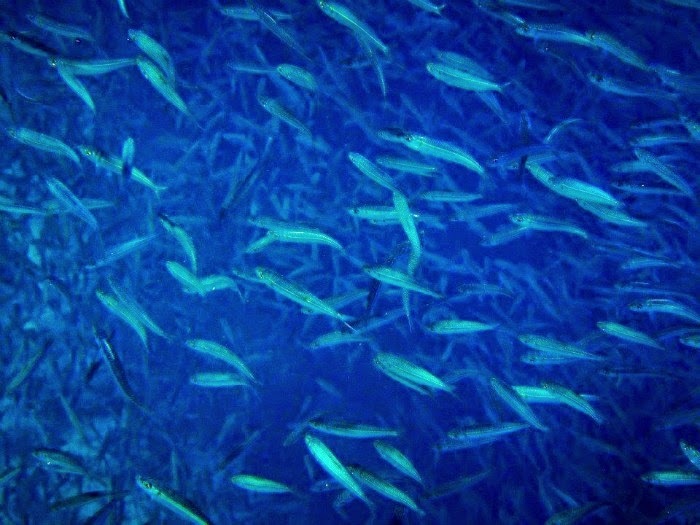 Thousands of them. Swimming and dancing as if performing. Mesmerizing us with every move. It was fun chasing them, playing in the most fun and beautiful playground I've ever been. The ocean. My Zodiac says Earth is my element, but I insist adding Water to it. I mean, who on earth does not love the ocean or rivers and lakes? 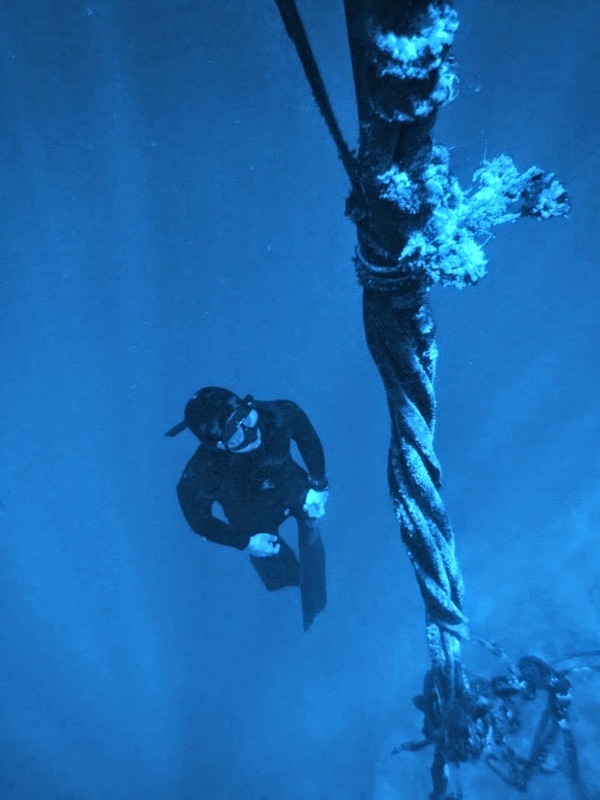 Freediving is a type of diving which is free from equipment, except the mask and fins. 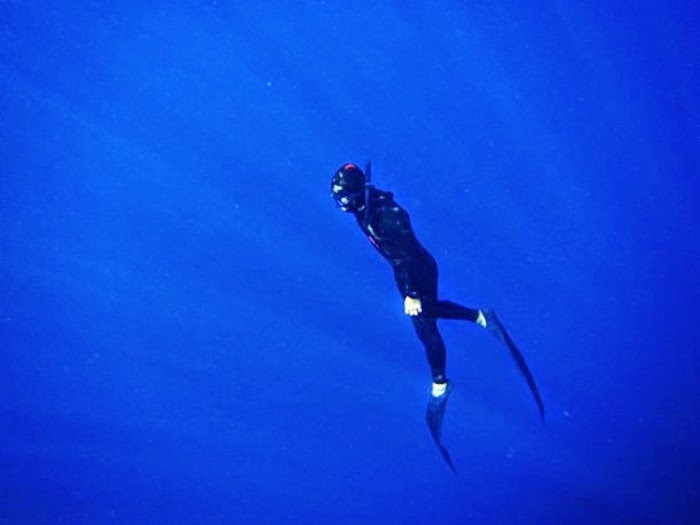 Freedivers do not use tanks; they use only their lungs to descend and explore the underwater world. I am no pro but I do understand why freedivers love what they are doing. True, freedives are way shorter than scuba but it's the adrenaline rush and the self-contentment that keeps them doing what they love and enjoy underwater even with little time. When you're in the water, you're definitely going to lose track of time. We were there for hours, unaware and not caring of what's happening above the shore. 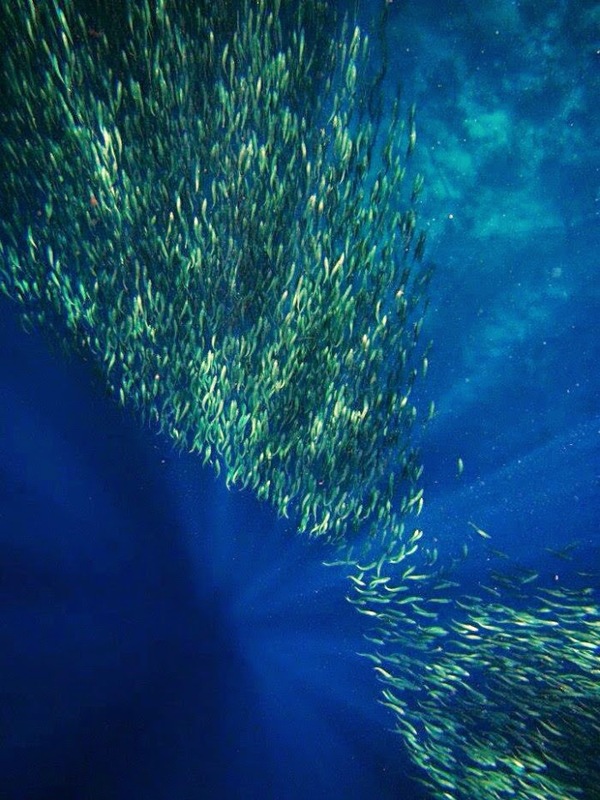 The feeling is totally unexplainable every time you see a sea creature. 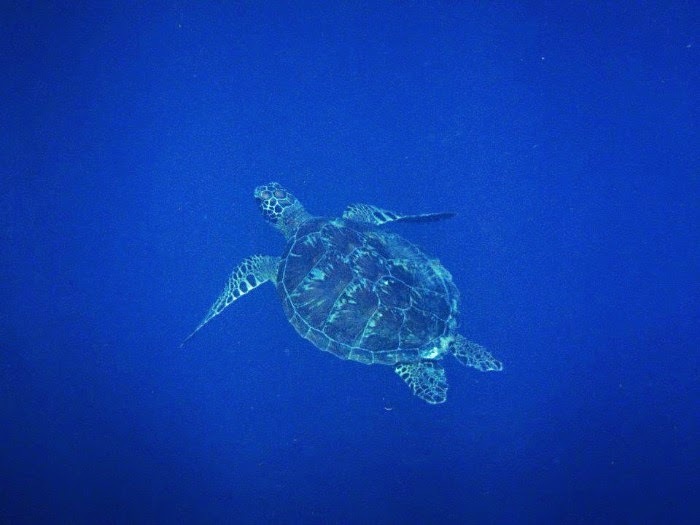 We were all in awe when this little sea turtle came to say hi. This day made me love the ocean even more. I don't care if I'll get burnt skin all my life. In fact, my skin at the back hasn't regained its natural color yet. 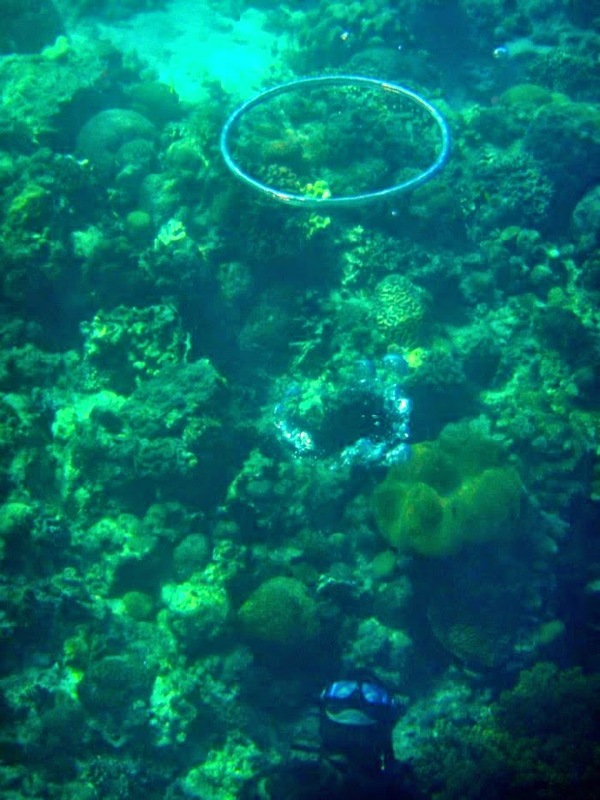 But still, I am looking forward to seeing more of the marine wildlife! And if you want your kids and the future generation to witness how beautiful our ocean is, man you gotta do your part to save it. 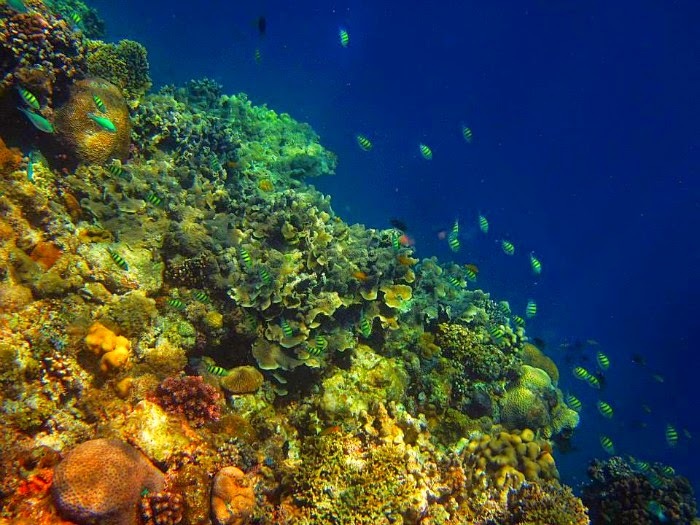 We in the Philippines are so blessed to be part of the coral triangle, so let's help preserve what God gave us. and to Edgar Yap of eazytraveler.net for the photos. you have been bitten by the lure of the abyss now. Yes, it is very alluring once you have taken the dive. the challenge is endless.